A small vehicle free (tents only) campsite with no electric hook up. 'There are dragons in there!’ one young camper enthused as we made our way into the dark woodland adjoining the camping meadow at Denmark Farm. Fearing for our safety, the gallant squire grabbed his trusty sword (ok, so it was a long stick) and rushed past us with a chivalrous, ’And I’m going to get them’. Although we didn’t encounter any dragons during the visit, their presence is eminently plausible at this Welsh conservation site, situated among the green humps and bumps of Celtic Ceredigion. You wouldn’t blame the mystical creatures for slumbering off the effects of battling with medieval knights in a centuries-long hibernation somewhere within this 40-acre treasure trove of landscape. Encirling the camping meadow are woods and fields and ponds that have been slowly nursed back to life from the land owner’s farming days. A commendable job has been carried out by Denmark Farm Conservation Centre in helping nature to restore the site, much to the joy of the local flora and fauna (dragonflies included). Pathways that lead through the woods beckon you towards fairy-tale adventures, one leading to a magical roundhouse, another to a spiky hide – is it a bird or a hedgehog? – by the long lake. Just be careful where you step; you wouldn’t want to awaken any dragons – at least, not unless you have your own little St. George to hand. 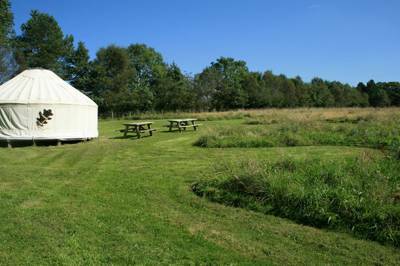 Denmark farm provides space for eco-camping set in a wonderful, wildlife-rich 40-acre nature reserve. The camp site is situated on a gently sloping meadow next to woodland and, with almost no light pollution, the stars are amazing. 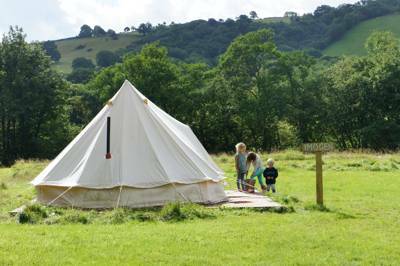 Campers have the unique opportunity to share this peaceful place with red kites circling overhead, hares hiding in the undergrowth, dragonflies darting over ponds, hedgerows and woods full of birdsong, and flower-filled meadows. For latest availability and best prices for Denmark Farm, please use the Date Search above. One of those magical places. We stayed in our tent previously and in the yurt this time. 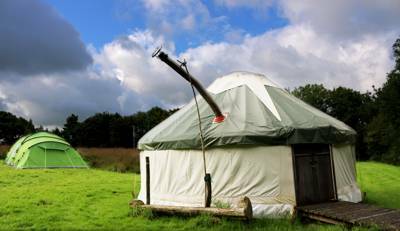 Best yurt I've ever stayed in, so cosy and comfortable. 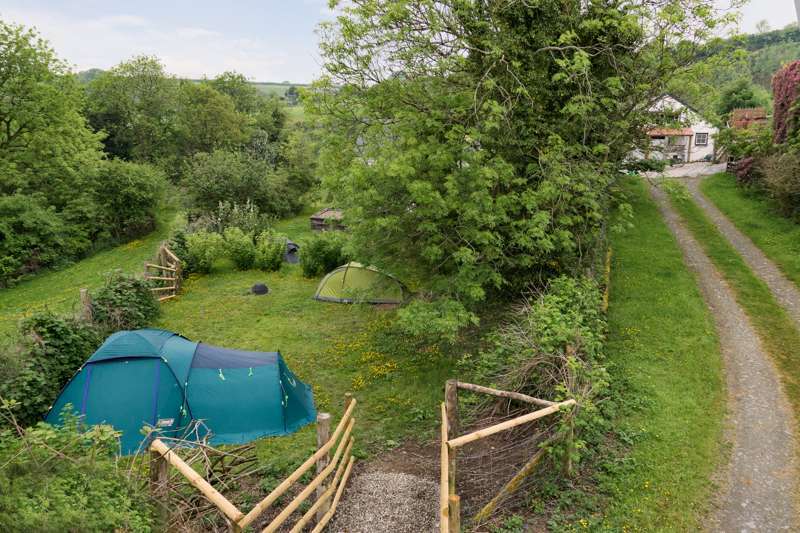 The campsite is small and nestled next to a woodland which the children loved. There's a compost toilet or full amenities a little further away. Everything is rustic but in keeping with the place and considerate of the surroundings. 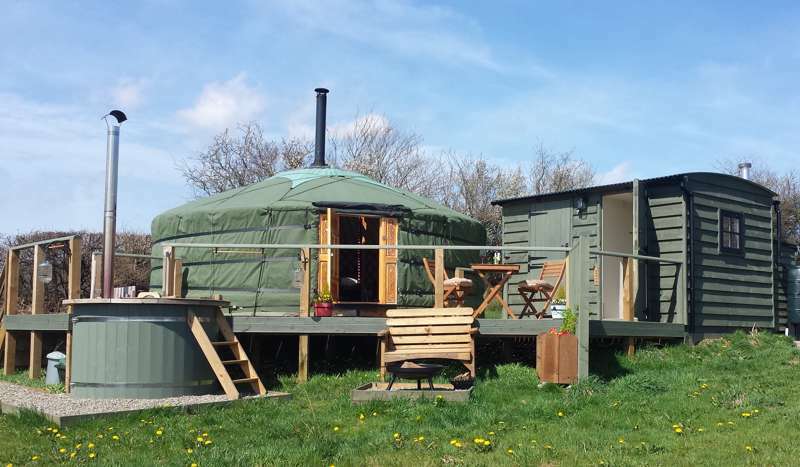 We had a fabulous time staying in the Yurt. It was very cosy and a perfect place for a birthday. The landscape is stunning and peaceful. There were wonderful stars at night, and we loved walking through the meadow and deciduous wood with early autumn colours and a clear stream. It was our first time in a yurt and we loved every minute of it. There were five of us (three children and their parents) and it was snug and airy at the same time. We enjoyed listening to the crackling of the log burner and the occasional owl hooting. Dish washing in the rustic kitchen was made pleasant by the view, as the walls were partially open and the floor partially elevated. Even the water seemed to taste better. Highly recommended. 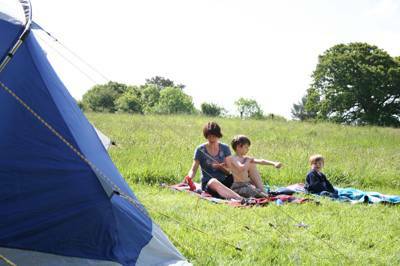 Really enjoyed camping at Denmark Farm. Having no vehicles on the actual site and the woodland camp kitchen made the site really special. The wildlife meadow around the campsite on a dewy morning just sparkled. Wildlife and nature were abundant, and it was fabulous just to listen and observe around the campsite and the wider nature reserve. A short walk to the toilets and showers was no problem at all. Plenty to see and do within the local area. I spent a week camping and am returning again this year. Would recommend. We stayed at Denmark Farm towards the end of summer 2014. This tiny campsite is set in the middle of a lovely nature reserve, home to newts, dormice (and, to be honest, legions of slugs at night!). Our children attended one of the woodland activity days and loved it. Plenty of space to explore and free access to the reserve. We had a great week despite some windy and rainy weather and would definitely recommend this campsite and it's surrounding area. There are no cars on the actual camping area, which we like, and you transfer your stuff from the carpark by barrows provided. Not many people around when we were there, very clean facilities shared with the activity centre, great little outdoor kitchen with a gas hob. Really recommend this place. 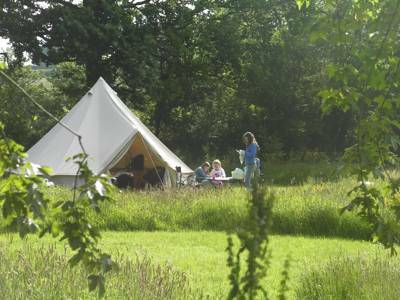 The campsite can accommodate no more than 10 tents (approx 20 people) so booking and payment in advance is necessary. 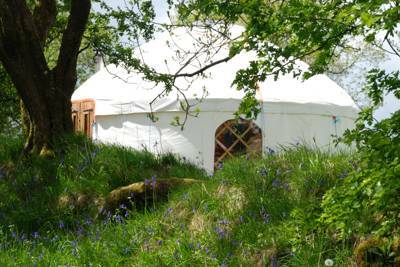 One yurt also available to hire. 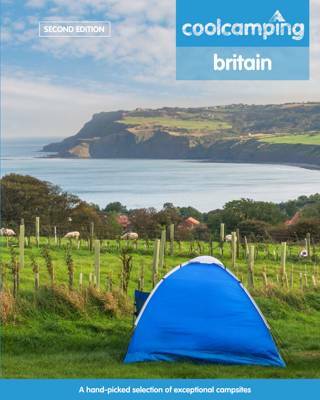 Tents, small groups, guide dogs — yes. Campervans, caravans, pets — no. Acres of meadows and woodland to explore and enjoy. Nature trails are waymarked across the site. Denmark Farm Conservation Centre also runs courses such as natural crafts, conservation, species identification, children's activities and other outdoor educational fun – so do check if anything’s going on during your stay. A small natural play area is also being developed. 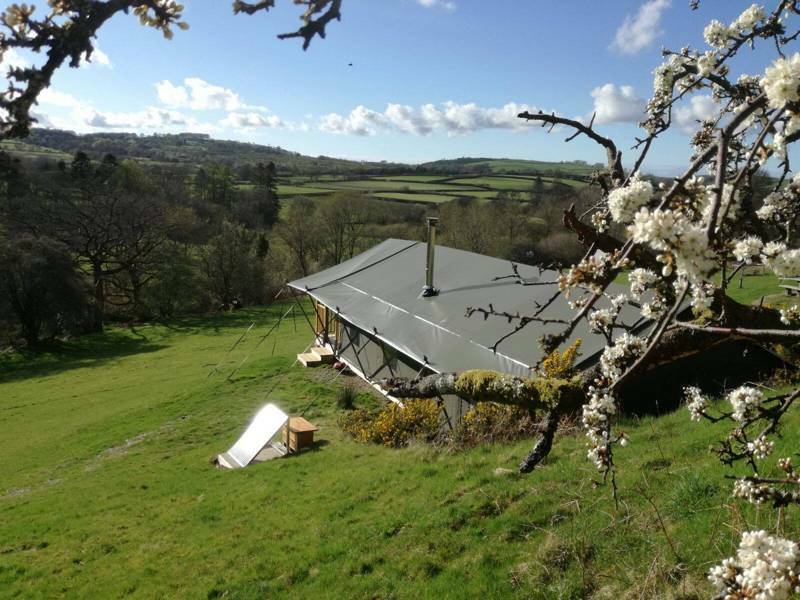 In the adjacent woodland you’ll find the communal kitchen, a neat little wooden hut with a sink (there’s a standpipe for cold water in the field), double-ring gas stove, a couple of big saucepans and a kettle. 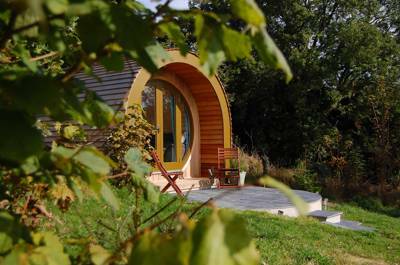 A little further into the woodland is the compost loo – near enough not to be a long trek from your tent, but far enough away for privacy. On booking, campers are provided with detailed notes for their arrival (the campsite is only staffed during office hours) and a helpful map. Included is the code to get into the building for use of the showers (1 each in for ladies and gents) and loos (2 each). There’s also a wetroom for those with disabilities. The Bunkhouse/dorms are also located within this building. There’s another compost loo near the wildlife garden. Campfires permitted in fire woks, hired at time of booking. 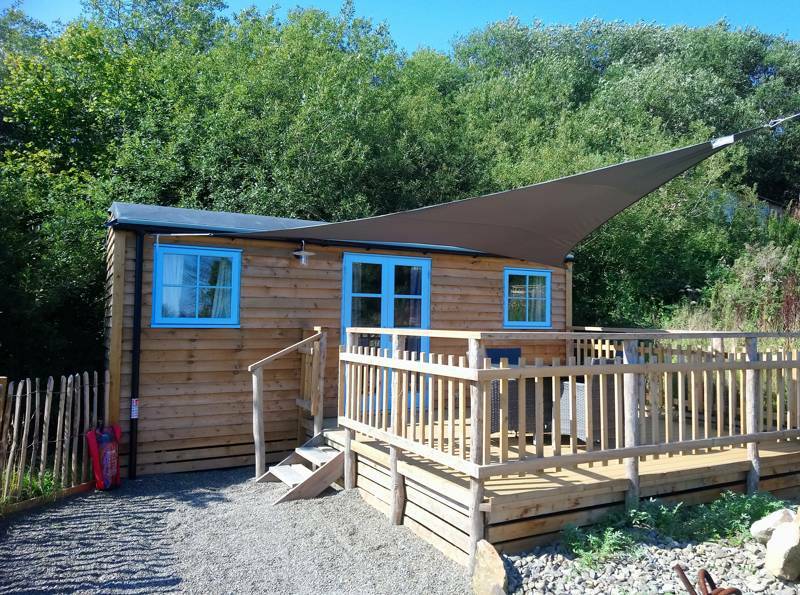 There are swimming pools in Tregaron and Lampeter; shops and cafes in coastal town Aberaeron; Fantasy Farm Park is a 25-minute drive away (01974 272285), with an indoor play area, rodeo and restaurant as well as a menagerie of animals. Visit the huge bog at Cors Caron's nature reserve (01974 298480), about 7 miles away. The wetlands form a sanctuary for many species of bird and other wildlife; its resident otters are so at home that they can sometimes be seen during the daytime. A circular walkway provides access to a huge stretch of peaty Welsh bog. Explore the stunning Ceredigion coastline. 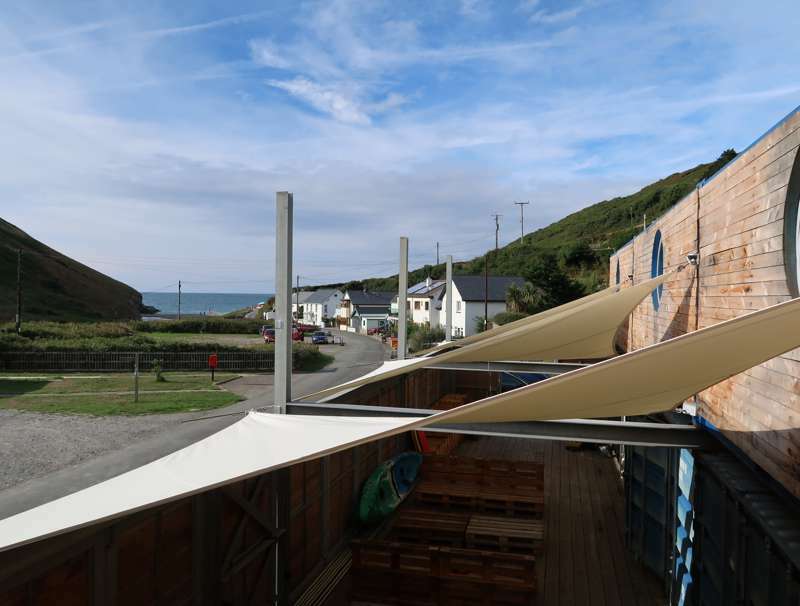 Cardigan Bay offers something for everyone with family friendly Green Flag beaches, miles of spectacular coast paths and plenty of dolphins, seals and porpoises. The Organic Fresh Food Company (01570 423099) is just off the A485 (you'll pass it on your way to the campsite) and has a fantastic array of produce (they also do delivery). For eating out, the Talbot Hotel in Tregaron (01974 298208) can't be beaten. From Lampeter, take the A485 out of the town (it’s the right hand turn), signed towards Tregaron. After 2 miles take a left off the A485 (signposted to Denmark Farm) and continue up the lane. Keep going for another couple of miles and you’ll see a sign for the farm, which is on the left. Not advised, The nearest train station is at Carmarthen, about 25 miles away.